My greatest joy is in knowing that my daughter will receive the love of a truly present father. She will witness a father who supports his wife in the career of her choice and a father who is completely comfortable cooking in the kitchen. She will understand that our gender does not define our roles. As I walked past security at the airport towards our gate, carrying my baby and two bags, the security guard directed me to the escalator. There I clumsily loaded my bags and baby and off we went. It was about three weeks later that we were traveling the same path through the airport and walking past the same security guard. Only this time, my husband was carrying our daughter. The guard, visibly moved by a father with his daughter, directed my husband to the elevator because it would be easier for him to get to the gate. It has now been 17 months since I became a first time mother. I have gotten used to the reality that true fatherhood is a concept that is still being embraced by American society. Whether we are at the mall or the airport, my husband carrying our child elicits compassion and people going out of their way to help us. While this is wonderful, it unfortunately highlights the underlying stigma of fatherhood. The truth is, that most people are not used to seeing fathers be fathers. Society has engrained into us that the role of the father is to be the provider, to be a macho character that does not change diapers or is too busy to take care of his children without the mother present. It is time to elevate the bar on fatherhood. It was when I was at the funeral for a fallen father that I realized that true fatherhood lies in what I call our "eulogy qualities." While this great man had many accomplishments at work and several awards, what people truly remembered about him was his presence in his daily playtime with his children, his concern for making sure his wife got a break to take care of herself, and his words of encouragement to his friends and family members. What he had accomplished on the outside paled in comparison to the gift of his time, the gift of his love and the gift of his support. His eulogy qualities created the foundation of how his life was remembered. As a physician, my husband excels. He dedicates his very best to his patients. But his greatest accomplishments begin at home. They are in the subtle way he places his forehead on my daughter's while rocking her to sleep, in his excitement for cooking her favorite meal, and in the ways he shows her how men treat women-with mutual respect and kindness above all else. 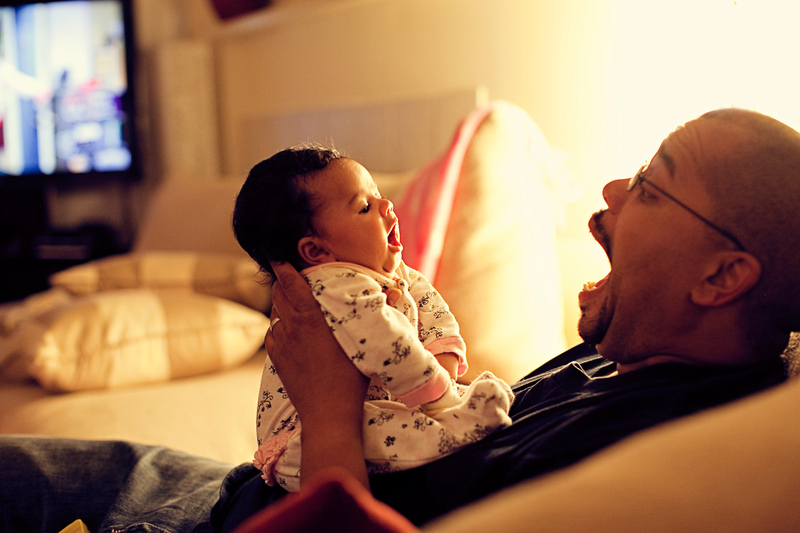 Engaged fathers are a vital part of a child's development. That is why as a society, we need to hold fathers to the same expectations as mothers. We need to support fathers so that they can be involved from the moment the child is in the womb. A newborn bonding with the father is just as important as with the mother. That is why paternity leave needs to be given as much precedence as maternity leave. The issue of work-life balance doesn't just apply to mothers, it applies to fathers too. We must support the rise of the engaged father. Ultimately, it is those eulogy qualities found in truly present fathers that will not only elevate fatherhood, but will define it. This post originally appeared on DrB and DrM. You can follow Smita on Facebook here.